#27 The Fever: In the latest edition of the Reply All podcast, producer Stephanie Foo tells a story about the perils of online dating as an Asian woman. People, you know exactly where this one is going. Aziz Ansari thinks men's first-date texts are lazy: Sorry, guys. Those "heyyy let's hang out soon" texts just aren't cutting it in the dating world, according to Aziz Ansari, whose new book, Modern Romance: An Investigation looks at how singles communicate through their phones. Here's a list of five types of texts that annoy potential love interests, according to his research. What Dating Advice Did You Get From Your Immigrant Parents? : Men turn into werewolves after 11:00, hierarchies of races, don't date at all ever -- children of immigrants recount the sometimes absurd, sometimes a little bit racist, old-country dating advice they've received from their parents. Stop Telling Me You Can't Wait to Attend My Indian Wedding : "I'm not engaged, or even close to it, so why do people keep telling me they can't wait to watch me get married?" Sonia Chopra on the culture clash she sometimes feels when people talk about marriage. How 'Ex Machina' Abuses Women of Color & Nobody Cares Cause It's Smart": The science fiction thriller Ex Machina contains servile Asian women and other tired sexist and racist tropes. 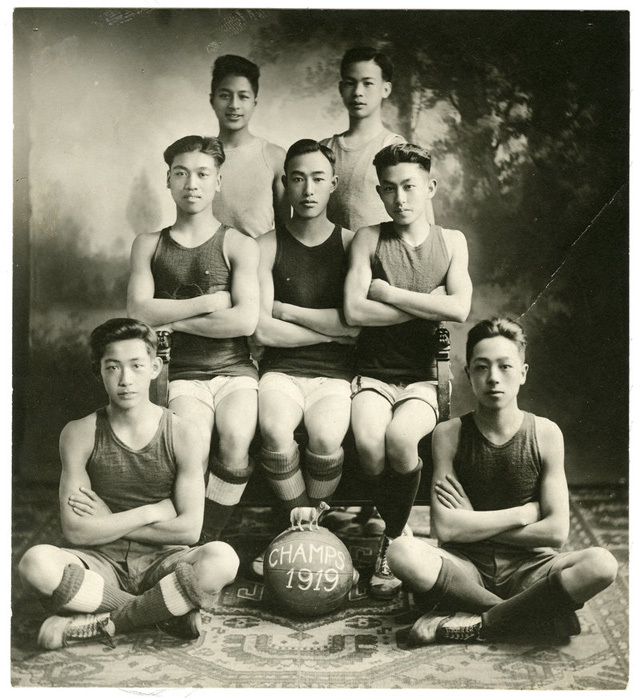 Chinese Basketballers Of Yesteryear: Under times of historical social exclusion and discrimination, Chinese basketball players in early 20th-century America found ways to get on the court. When the Wong brothers soared over Toronto: The story of Robert and Tommy Wong, who channeled their passion for aviation to start Central Airways, which became biggest flight training school in Canada. A Childhood Spent Inside A Chinese Restaurant: Being one of the few Asians in Susan Cheng's school was hard enough; working at her parents' Chinese restaurant didn't make it any easier. San Gabriel Valley, CA: Small Town, Global City: "State of the Re-Union" recently ran a week-long special about California's San Gabriel Valley, home of the largest Chinese diaspora in the country. Chino: On Empanadas and Hip Hop: As part of a new series of interviews exploring food and identity, The Mash-Up Americans interviews with Chino, an artist, music producer, and owner of Escala, a Colombian-Korean restaurant in LA's Koreatown. Justin Lin Talks Wet Cement at Chinese Theater, 'Star Trek 3,' 'True Detective' And His Foray Into Chinese Film: Fresh from placing his hand prints in the cement at Hollywood's famed Chinese Theater, filmmaker Justin Lin reflects on his career, which began with maxing out ten credit cards to fund his breakout indie feature Better Luck Tomorrow. The Mary Sue Interview: Gamechanger's Mynette Louie on Changing Hollywood from the Inside Out: Mynette Louie is the president of Gamechanger, a production company that finances female-directed films. Tony Award winning playwright David Henry Hwang's Commencement Speech at SUNY Purchase: Graduates! These are not the "best years of your life," do not fear the intangible, and other great advice from award-winning playwright David Henry Hwang's SUNY Purchase commencement speech. Loyal Roads to Betrayal: An Interview with Ha Jin: Ha Jin, author of A Map of Betrayal, discusses China before and since Tiananmen, abandoned enemy spies, and how solidarity will build a nation. The Author Of 'Crazy Rich Asians' Has A New Book, And This Is The Best News: Kevin Kwan's first novel, Crazy Rich Asians, follows a group of obscenely rich and attractive Chinese jetsetters. His follow-up novel, China Rich Girlfriend, comes out soon, and people are excited. 9 Poor Casting Choices From Hollywood: Proof that Hollywood is as lazy as ever. Marvel, Please Cast Ryan Potter for Spider-Man: Marvel Studios hasn't cast a Peter Parker for next year's Captain America: Civil War. How about Ryan Potter, the voice of Hiro Hamada in Disney's Big Hero 6? Sonja Sohn Looks Back on 'The Wire' and Talks About Diversity in Hollywood: An interview with Sonja Sohn, who played Detective Kima Greggs on HBO's acclaimed crime drama The Wire. "We're here, and we can play all sorts of roles": Julia Cho on Acting and Asian American Representation: Julia Cho talks about her experiences as an up-and-coming actor in theatre and television, why she believes representation is important, and where she hope's we'll continue to see progress. Limitless: Through stubborn optimism and fearless risk-taking, former So You Think You Can Dance contestant Alex Wong has transformed from ballet star to commercial success. 10-year-old anthem singer may be a Warriors good luck charm: 10-year-old star singer Nayah Damasen has had quite a prolific career singing the National Anthem for the Golden State Warriors, and may very well be the team's good luck charm.